Only have the game used in so far. i seen somewhere how some base keary colberts have been hard for you to find. Well i just found a whole list of them if your interested. also wernt you looking for his 2004 bazooka card? 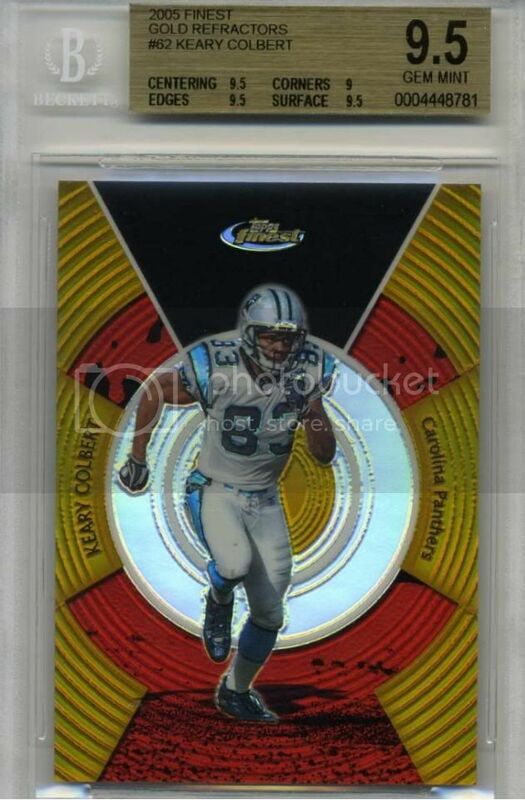 whatcha think of this sweet card numbered to just 49 and graded 9.5? I want that!!!! and no I got all the bazookas I think. and yeah im interested in none auto/gu stuff...I have alot but I also still need alot of variations...wheres that graded one? Thanks for the help! and any other leads lmk. I would love to just trade for the stuff. Im low on cash for pc stuff right now.